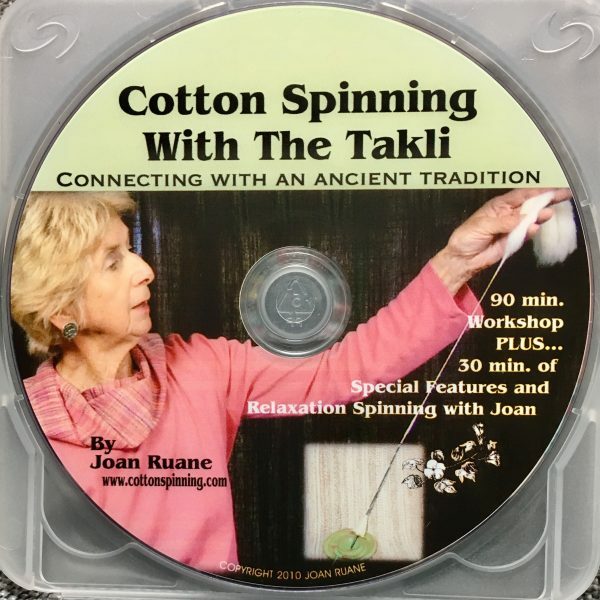 Learn to spin cotton on the takli with Joan Ruane, master cotton-spinning teacher. 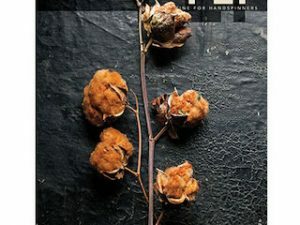 Cotton Spinning with the Takli is a 90-minute workshop with 30 minutes of special features. 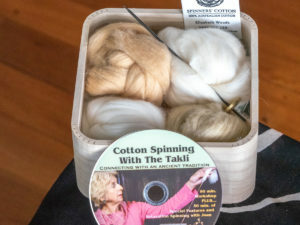 In this video, Joan takes you from growing and processing cotton to creating projects using your takli-spun cotton yarns! 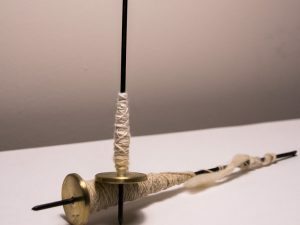 Joan teaches you to spin on your takli from the seed, punis and cotton sliver through to plying your singles. 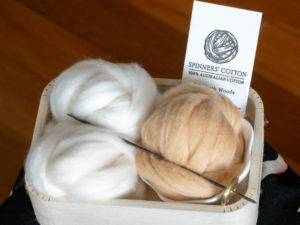 Joan shares with you her cotton spinning tips and secrets so that you will soon be able to spin cotton with ease.